Never allow children to play with fireworks. Only light fireworks on a smooth, flat surface away from flammable materials. Keep a bucket of water in case of a malfunction or fire. Line up the home fireworks display with a viewing area on one side only. Don't watch from all sides; it's too hard to keep an eye on all participants if the display is surrounded. Keep the fireworks sitting on a hard, flat surface with nothing flammable around. Dry leaves and foliage are especially dangerous. Look at the plants and grass—if it's yellow and dead, that is not a good place to be setting off fireworks. Concrete or a well-watered, green lawn is the best. Using lawn will keep burn marks off the concrete. Keep a bucket handy. Fill it about two-thirds full with water and use to soak used fireworks and duds. Keep a hose with a shut-off nozzle nearby. The water should be on and the hose should be ready to instantly douse any wayward fires. To make a flat surface on the lawn, place a wide piece of lumber across the grass. Soak the lumber with water before placing the fireworks. Place the fireworks about 6 inches apart along the board in the order they will be lit. Only one person should light the display. That person should not be drinking alcohol before or during the show and should be at least 14 years old. If a firework doesn't light or doesn't work after the fuse burns all the way down, it's called a dud. Wait at least 20 minutes after lighting the fuse and then place the dud into the bucket of water. Wait until each firework is finished before lighting the next. Sparklers should only be handled by kids older than 12. Make sure that people with lit sparklers stay at least 10 feet apart. Put all used sparklers in the water bucket. After all, the fireworks have been lit and all used fireworks and duds have soaked for at least 10 minutes, discard the fireworks in an outside trashcan. In case of burns during the use of fireworks, you should also learn how to treat a burn. Wear cotton clothing to light fireworks. Synthetic fibers tend to melt onto the skin, while cotton does not burn easily. If your clothes catch fire: stop, drop and roll. 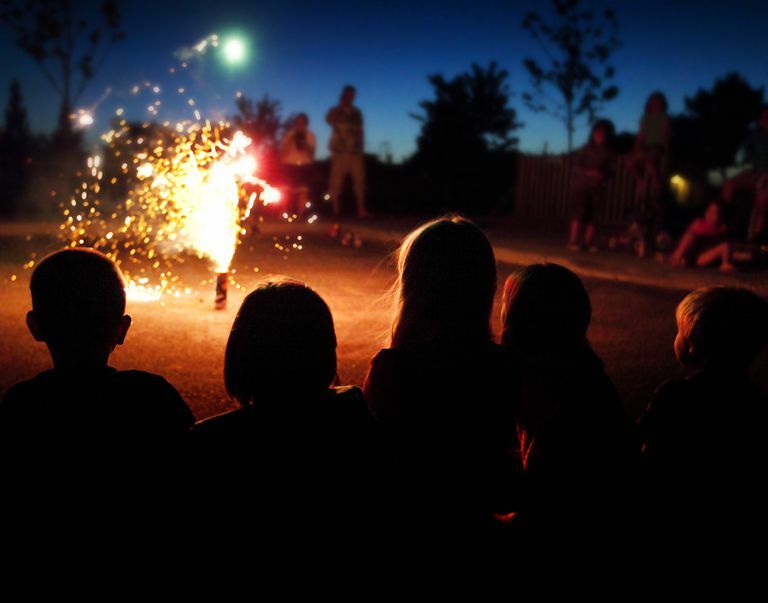 Use a long-tipped lighter for lighting fireworks to keep hands and faces away from fuses. Will Your Christmas Lights Kill You?